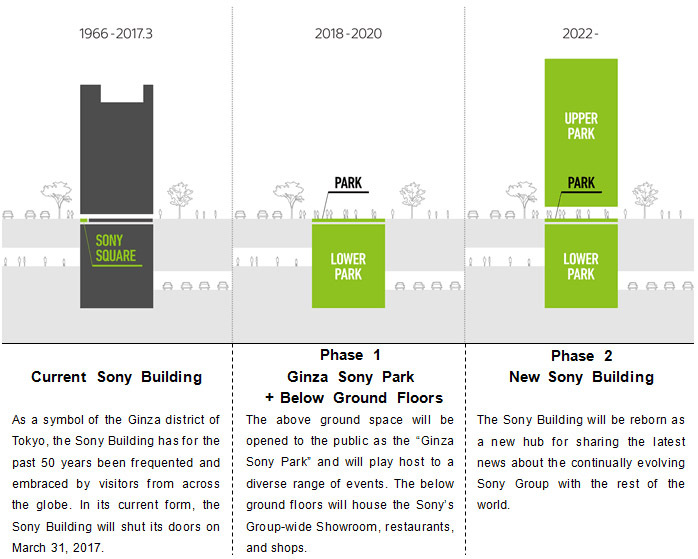 The 50-year old Sony Building in Tokyo’s Ginza area will be demolished in 2017 to make way for a temporary park, and finally a replacement building by 2022. 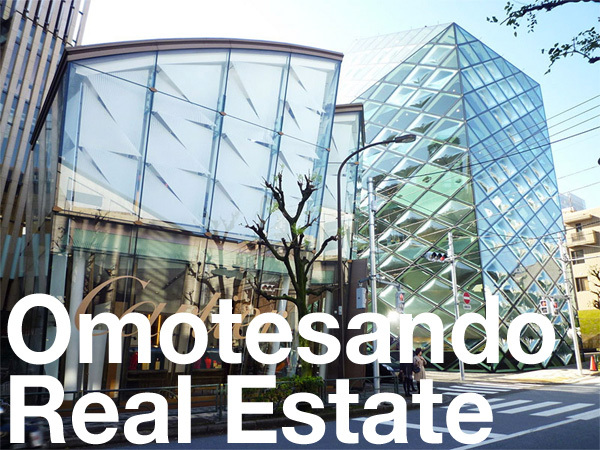 The building sits on a prime 700 sqm (7,500 sq.ft) corner block of land just 180 meters from the historic Wako Building and the Mitsukoshi Department Store. The land is used as one of the government’s chika-koji annual land survey sites. In 2016, the land had a surveyed value of 34,700,000 Yen/sqm (approx. 31,000 USD/sq.ft), which would make the 700 sqm site valued at approximately 24.5 billion Yen (approx. 235 million USD). The valuation was up 18.03% from 2015, and has increased by a staggering 151% since 2002. 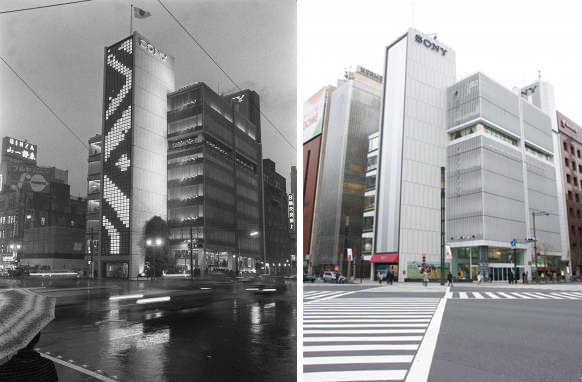 The Sony Building was designed by architect Yoshinobu Ashihara (1918-2003) and built in in 1966 as Sony’s product showroom. When new, the exterior was illuminated by 2,300 cathode ray tubes, while each floor was serviced by the country’s fastest elevator at the time. The building has a total floor area of 8,800 sqm (94,700 sq.ft), with 8 floors above ground and 5 basement floors. The architect, Ashihara, also designed the Komazawa Olympic Stadium Tower (1964), Dai-Ichi Kangyo Bank Head Office in Chiyoda-ku (1980), Fuji Film’s former Tokyo Head Office in Nishiazabu (1969), and the Nikko Youth Hostel (1959). The Nikko Youth Hostel (c1959). The building has since fallen into severe disrepair. 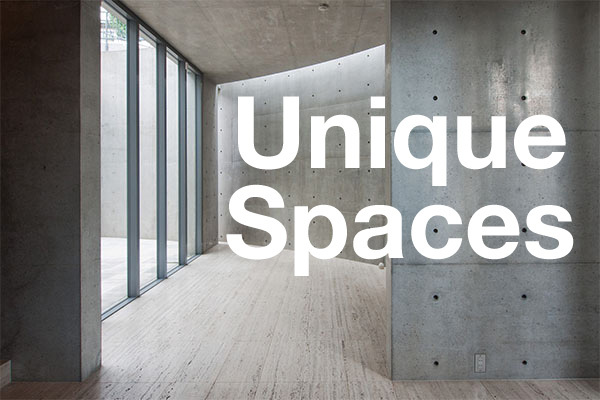 In 2003, the Sony Building was selected by DOCOMOMO Japan as one of the top 100 modern movement buildings in Japan. The current building will close at the end of March 2017. Between 2018 and 2020, the site will be used as an outdoor event space. Construction on the new building is scheduled to start in 2020 with completion by 2022. Source: Sony Japan News Release, June 13, 2016.